Need Some Help to Trace Your Family? Tracing family is something that we specialise in. 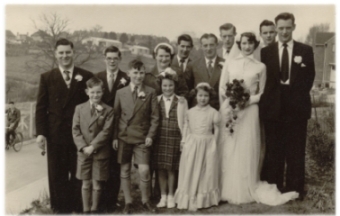 We can trace any member of your family that you’ve either lost touch with or never met. This could be a long lost cousin or even your birth parent. Regardless of the reason we can quickly and discreetly put you back in touch in a matter of days. Even better news, is that our service is provided on a ‘No Trace No Fee’ basis! So if we can’t trace your family then there is no charge for our efforts. Don’t worry about us not finding them, we trace family members to a current location in over 87% of the cases we perform, best of all our results are GUARANTEED! That’s right, we guarantee that we will trace your exact family member or we’ll give you your money back! We’ll make sure the results are correct. You need the confidence to act on the results we provide and we understand that, that’s why you’ll receive a detailed report that will show you how we know 100% that we have traced your family member and not just someone with the same name. You’ll even have your own researcher to talk to about the results we provide, if you have any doubts about the information, give them a call. That’s why we are the best service in the UK for family tracing. But, we don’t stop at tracing your family, we can also help you make that first important contact with our aftercare pack. The pack contains how you should make contact with your family member once we have traced them for you and also some case studies about other people and how they have made that first all important contact. We want to help you from this point onwards, right through to when you are back in touch with your relative. So to get started simply click the button below and fill in the order form and we’ll have you back in touch in no time. If your still not sure give us a call for a free no obligation chat, we’ll answer any questions you might have and provide you with any additional information you may need. If you’re tracing family, we can help you and give you the best chance of finding them. We guarantee that we’ll trace the exact person you’re looking for! This service is No Trace No Fee, so if we can’t help, you don’t pay a penny!